Shining the spotlight on upcoming and established composers. Game-changer: AudioJungle’s Tim McMorris Joins AdRev (and why you should too)! Are you a music creator teetering on the edge of registering your music with AdRev? This may be the push you need. Tim McMorris was for many years the top-most selling music contributor on AudioJungle.net, the web’s leading royalty-free stock audio marketplace. He was recently passed up but sits pretty comfortably at #2, though he still contains the best sales-to-song ratio by far with over 50,000 sales for only 59 songs at a price of at least $19 a piece. Tim McMorris has about 25,000 YouTube subscribers as well as 16,000 fans on Facebook. His most popular song, Overwhelmed, has over 3 Million plays on YouTube. Tim getting on board with AdRev is a game-changer. He recently posted on AudioJungle’s forums about his decision to join AdRev (shown below). 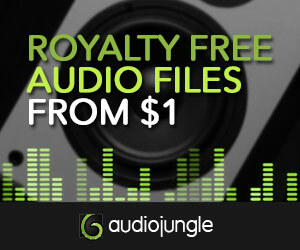 AdRev is a content ID service that takes your legally owned music and “fingerprints” your songs. In conjunction with Google, AdRev is able to provide to you a list of YouTube videos that have not registered a license with YouTube to use your song on their video. The result? AdRev places ads on those unregistered videos and you get some revenue. Hence its name. Music piracy has become so rampant with the explosion of YouTube as a primary music listening platform, as well as sites that allow consumers to turn any YouTube video into a downloadable MP3. And with hundreds of hours of YouTube video being uploaded every minute, pirated music is everywhere! There is a lot of confusion around AdRev. But with partners like Universal, Warner Bros., and BMG, maybe this is how online music protection is evolving. What if I get an AdRev copyright strike? No problem! Got a legitimate license to use the music and monetize your video? AdRev makes it really easy to submit. Go here and just submit your license details and YouTube video link! Claims usually take 1-3 days to clear. Also, AdRev makes it even easier for the owner of the license to submit your video to be whitelisted by AdRev. Make contact with the creator of the music and they’ll do it for you! I’ve been on the fence about AdRev for quite some time now. There have been a lot of pros and cons presented through multiple posts on AJ with varying author experiences. For me personally, as a lot of my music has ended up in YouTube projects going back at least 5 years now, the jump of registering would affect thousands of people. Something happened that has pushed me over to a final decision however, and I have now registered my entire AudioJungle portfolio with AdRev. If there was an experiment to be had with AdRev, this is certainly it. The reason I am here telling you about it is because I want to warn you. The main reason I have decided to register my entire portfolio is because …. are you ready … a business/label started registering my songs under their own name! A few weeks ago I started receiving e-mails from different past buyers who were asking what Content ID was and why their videos were getting flagged on YouTube. I had no idea what was going on. To my horror, I realized that my music was being claimed by someone else. To make things worse, I couldn’t white list videos or channels because the videos weren’t registered in my name! I’ve come across a lot of annoying things working in the music industry over the years, but this one shot my blood pressure through the roof. Just imagine how angry that would make you, I know you can relate for sure. Not only did I not have the tools to remove the claims for buyers, I didn’t even know what songs had been registered. Blindsided, I didn’t have anything on my website to inform buyers about the process and worst of all someone else was making money off of my music and I wasn’t sure for how long. I got in contact with AdRev (and our lawyers) immediately and got things sorted out (which I won’t get into now). I scrambled to build a Content ID knowledge base on my website, added a special form to help buyers clear claims and claimed (or claimed back) my music. SO – word to the wise: Yes it may be a small inconvenience for both us and buyers to get used to the Content ID system, and yes there may be a few bumps,… but what is worse, is someone else registering your music, making money from it, and screwing up your customer base for you as you’re left clueless about what is happening! Just wanted to throw out the warning friends – claim your music before someone else does! Don’t let the natural evolution of online music protection actually harm you by not registering with a company like AdRev. If you have currently not moved your music catalogue to a service like AdRev, someone could be making money off of you right now! Content ID is here and here to stay. It’s not even about getting ahead of the game any more. It’s getting with the game! For more info on AdRev, go here. [Video] Someone composed a song completely from Pi and it sounds surprisingly good! How’s this for a little modern composing? 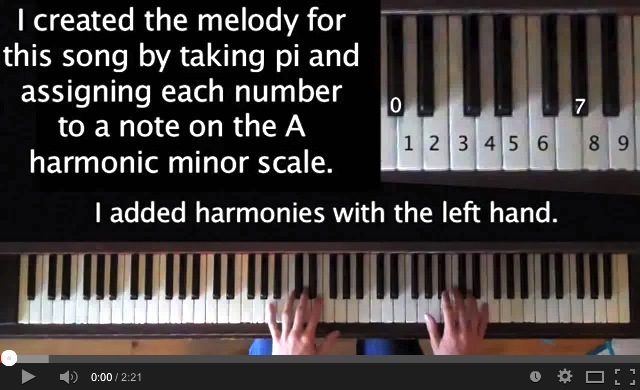 YouTube user aSongScout decided he would memorize the numerical sequence of Pi by memorizing its melody. The ratio of a circle’s circumference to its diameter has never been more musical! Let’s face it, these composers are elite: Inception, Transformers, Batman, Survivor… to name a a few. Calling all composers! This original theme called “Destiny’s Door” created exclusively for this contest by Mr. Zimmer himself is yours to reimagine, replay, recompose or revise to your heart’s content. Below you’ll find a link to the theme plus everything you need to get the creative juices flowing. We’re looking for originality, curveballs and adventurous amphonics. The description gets any composer’s adrenaline pumping. Now, try reading it with the Inception theme on in the background. The competition lasts until February 19 – only 5 more days! 1. Only composers from United States, the United Kingdom, Australia, Canada (excluding Quebec), Germany and Sweden only are qualified to participate. 2. Noted by a top AudioJungle composer, Gareth Coker: “You give over 100% of your arrangement to ‘Bleeding Fingers’ music. Yes, 100%.” The fine print reads, You shall have a non-exclusive limited license within the Competition Period to use the Stem files solely for the purpose of entry of this Competition only. And… Bleeding Fingers being deemed the SOLE author and owner thereof. 3. And finally, the kicker: For the sake of clarity, the Winner(s) are not guaranteed to receive an offer of employment with Bleeding Fingers, rather, the Winner(s) shall solely be guaranteed an interview with Bleeding Fingers, which may or may not result in an offer of employment. 4. In an interview, someone had noted that the community voting counts for a lot of the weeding out. Granted, Bleeding Fingers will pick the winner(s), it is the votes in the meantime that help define “the finalists.” So, a popularity vote. If you have a large online support for you to abuse, it doesn’t matter if your composition is inferior, you have a better chance to get noticed. Therefore, it is better for you to have submitted a song within the first 2 weeks of competition than the last 2 weeks. Five days are left. I would say it is too late. Finally, the competition requires me to take a good look at my strengths, listen to what is already submitted and determine if this is the best use of my time. I have come to the conclusion it is not. Below are some entries from AudioJungle composers. My favorites are near the top. There are a few of those that are incredibly greater than anything I could ever compose for the cinematic / dramatic category and I’ve only listened to a handful of entries. There are thousands of entered songs. Composing for this competition would not be the best use of my time. But I’m excited to see the outcome. The Guy That Will Change The Way You See Music Forever. In One Simple Video. Is it music? This is the question composer Dr. Mark Applebaum keeps coming back to. Here’s a modern day composer who is not afraid to test the boundaries and limitations of music. From composing a piece for a florist, to constructing an instrument out of household junk, Mark is an music pioneer. He may not go down in history as the next Beethoven, but the guy is extremely talented. What may be even more extreme is his quirkiness. 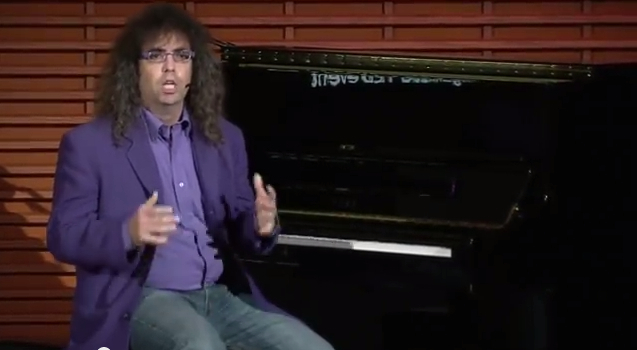 Take a journey in this humorously entertaining, yet outlandishly genius presentation of his at TEDx Stanford and dare to expand your view of music.